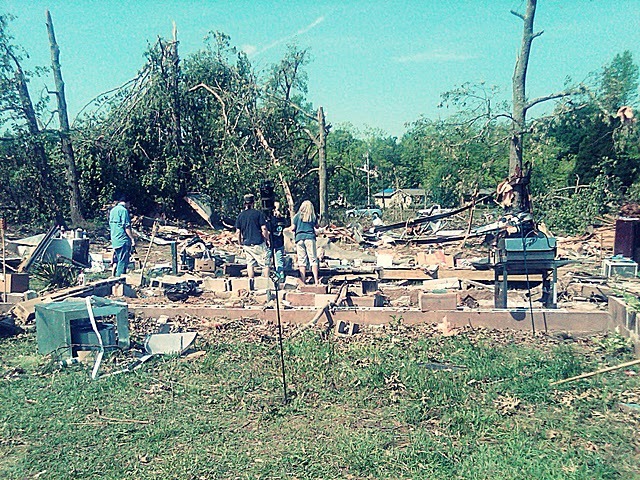 The recent tornadoes that tore through the southern U.S. damaged an estimated 10,000 homes and other structures and caused $2 to $5 billion of property insurance losses, according to an April 2011 article by Reuters news. That’s why local Fuller Center covenant partners in the Atlanta area, including The Fuller Center of Henry County and The Fuller Center of Greater Atlanta, are already heeding the call to help pick up the pieces and rebuild homes and lives. Mark Galey, president of The Fuller Center in Atlanta, said the clean up effort started almost immediately after the storms hit. 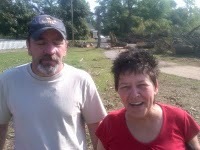 The first tornado victims the organizations will help are Bobby and Anita Simpson, whose home was severely damaged during the storms. 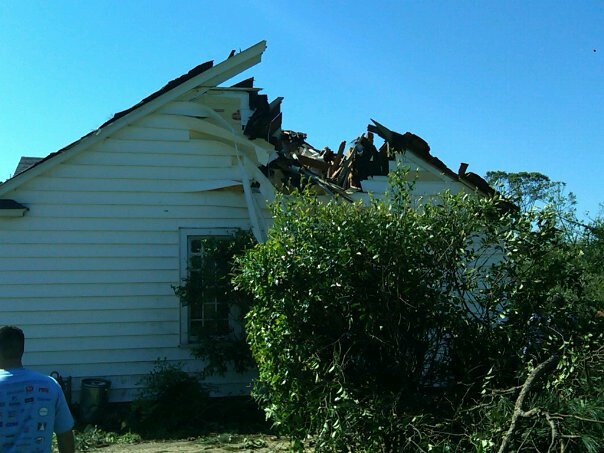 Unable to afford insurance for the home that’s been in Anita’s family for decades, the Simpsons had a lapsed policy that left them powerless to fix the estimated $4,000 in damages. “These working folks still need their home rebuilt,” Galey said. This Saturday, May 14, volunteers will begin construction, and hope to finish the work that same day. The Simpson’s home is located on 5029 Old Atlanta Road in Griffin, Georgia. More volunteers are still needed to help with the project, and to scout out more people in need of help in the area. "… This is where our faith is leading us. I urge everyone who can make a difference to step forward so we can help these families in need," Shane Persaud, president of The Henry County Fuller Center, said. The Fuller Center in Henry County recently received a start-up grant from the Fuller Center headquarters for the project, and a $1,500 donation from Kohl’s department store. Galey emphasized The Fuller Center’s unique approach to homebuilding and reconstruction – all of the projects are a hand up, not a hand out. Homeowners put in sweat equity hours and later pay for the construction on terms they can afford. “Bobby and Anita will rebuild their home along with the volunteers, and in time they will donate back what was donated to them into the Greater Blessing box, a revolving fund that will help another family in the future in their time of need,” he said. Another important part of these tornado recovery initiatives is to spread the word about the work being done in order to inspire others to join in the efforts.